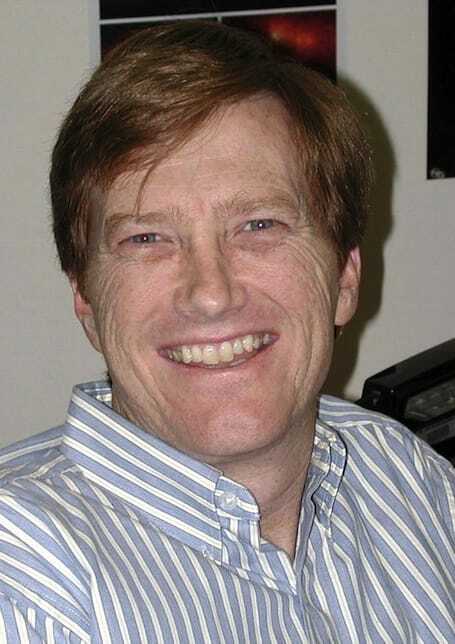 Hal Weaver has been pursuing space-borne, rocket-borne, airborne, and ground-based investigations in planetary science since 1978. For his doctoral degree (Ph.D. in physics from The Johns Hopkins University in 1982), he performed the first systematic investigation of cometary ultraviolet (UV) emissions using the NASA/ESA International Ultraviolet Observer (IUE) satellite, providing circumstantial evidence that water was the dominant volatile constituent in cometary nuclei. In 1985-1986 he made infrared (IR) observations of Comet Halley from the NASA Kuiper Airborne Observatory (KAO), which resulted in the first unambiguous, direct detection of water in comets, and for which he was awarded the NASA Medal for Exceptional Scientific Achievement in 1988. In 1996, asteroid 1984 FN was renamed to asteroid “Halweaver” in recognition of Weaver’s work on the chemical composition of comets. Weaver has led many investigations of comets using the Far Ultraviolet Spectroscopic Explorer (FUSE) and the NASA/ESA Hubble Space Telescope (HST). In March 2007, Weaver was appointed as a Co-Investigator on the Alice Ultraviolet Spectrograph, which is one of the principal NASA contributions to the ESA-led Rosetta comet mission. Weaver joined the Senior Professional Staff at The Johns Hopkins University Applied Physics Laboratory in May 2002, and he has been a member of the Principal Professional Staff since 2006. He is currently the Project Scientist on the New Horizons Mission, which is the first spacecraft mission to Pluto and the Kuiper belt. In 2005, Weaver co-led a team that discovered two new satellites around Pluto (Nix and Hydra), and he was also on the team that discovered two other small Plutonian satellites, "P4" in 2011 and "P5" in 2012.